YoHa is an artist group led by Matsuko Yokokoji and Graham Harwood our work involves the use of art as a mode of enquiry into technical objects most recently within the fields of health, war, oceans and death. 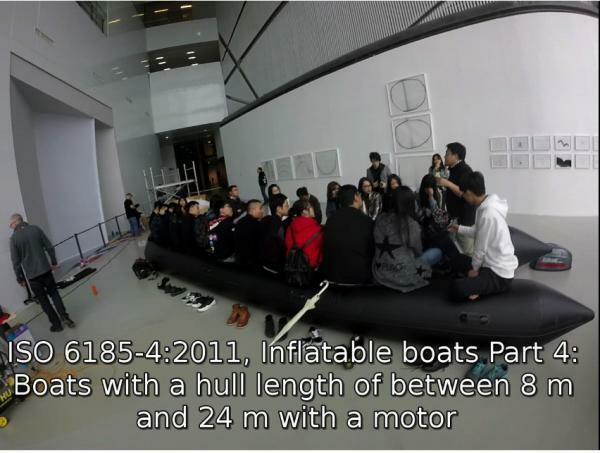 The space of YoHa’s inquiry is usually populated by an interconnection of technical objects and other kinds of bodies as in a clinic, hospital, battlefield or at sea. The focus of our enquiry is where the flows of power can be reconfigured by the ambiguity of art, not necessarily to make art but to make use of it within a wider enquiry. Critical Technical Practice and the use of art allows for connections to be remade, renegotiated outside the rhetoric or logics that govern the space made possible by the interaction of technical individuals, humans and the wider environment. Critical practice in this context and at it's most simple can be thought of as a way of figuring entities that are just out of reach or are not yet uttered or seen or not yet acted on. Having figured such individuating process they are made available to those involved.